Does your dental anxiety prevent you from visiting the dentist as often as you should? If so, then you could benefit from sedation dentistry near Denver. This dental treatment option can make your dentist visit more pleasant and less stressful. 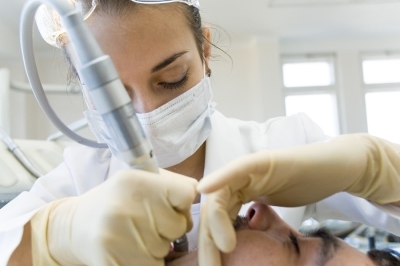 When choosing a sedation dentist, there are several factors that you should keep in mind. As with any medical professional, it is essential to find a dentist that has expertise in the treatment that you are considering. Before selecting a sedation dentist, be sure to learn how much experience he has using sedation on patients, as well as which forms of sedation he has administered. Also, find out if the dentist is accustomed to treating patients like yourself, with your particular dental needs and anxieties. While you may have one type of sedation treatment in mind, you should consider and research all of your options. Some forms of sedation may be more appropriate for one patient than they are for another. Also, some sedation methods will require that you get a ride home from the dentist, while others only affect you through the length of your appointment and allow you to resume your normal routine afterward. It is important to find a dentist who offers a sedation method that suits your medical needs and schedule. While finding the sedation method that is right for you is important, this is of little benefit if the dental office does not offer the treatments that you require. When looking for a sedation dentist, it is important to learn if the office provides any procedures that you might need in the future. Remember to consider any cosmetic treatments that you might want, as well as restorative, endodontic, and periodontal procedures. Finding a sedation dentistry provider that can handle all of your dental needs allows you to work with a single dentist that you trust with whom you are familiar.